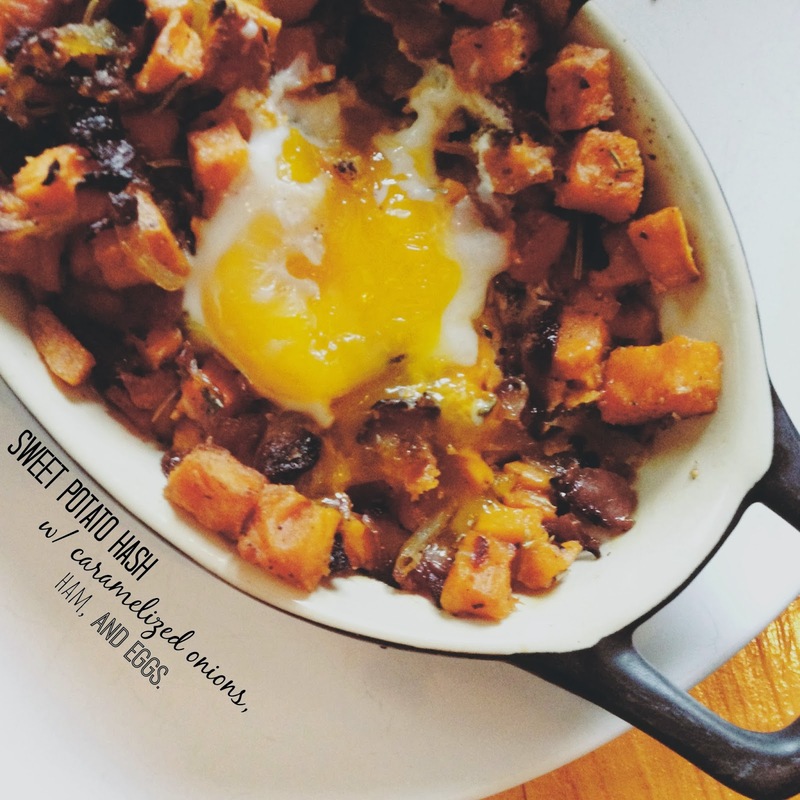 Fancy Napkin: .sweet potato hash w/ caramelized onions, eggs and ham. 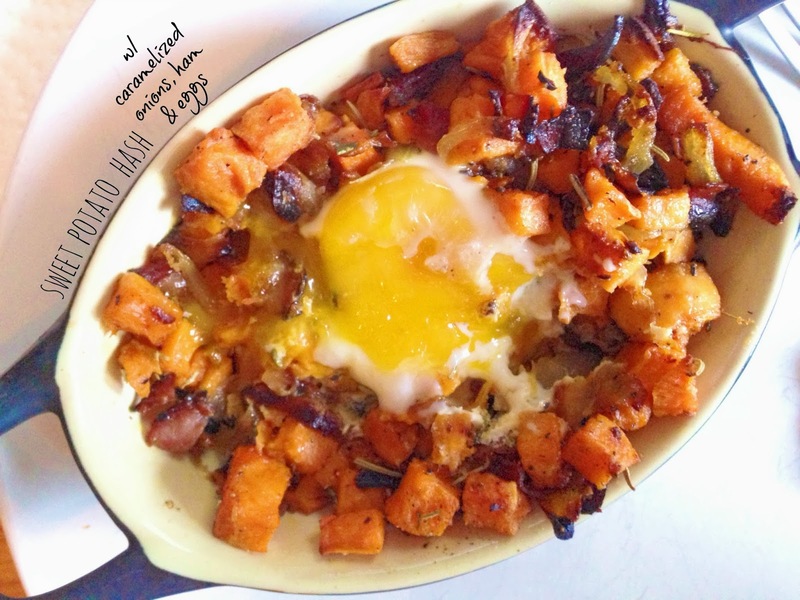 .sweet potato hash w/ caramelized onions, eggs and ham. while i may have posted on instagram that i was going to share this tomorrow, i just couldn't wait - or make you wait either! also, this way you can get your ingredients today and surprise your special someone [or yourself even!] tomorrow morning. this recipe would also be amazing if you had guests over, as it can feed a large brood and you can even make it all the night before! i couldn't stop eating it. seriously! i was so full and i went back for seconds [and maybe thirds a short hour later ;)]. it can be made with ham, bacon, vegetarian or try out the original recipe here made with chorizo sausage. enjoy! 1] Heat oven to 450F. Peel the onions and cut them in half lengthwise, then cut them into thin half-moons. Cut the half-moons in half. Melt the butter in a skillet over medium-high heat. When it foams up add the onions and sprinkle lightly with salt [if you use a smaller pan, don't worry if the onions are crammed; they will rapidly cook down]. Lower the heat slightly and cook the onions for about 30 minutes, stirring occasionally and lowering the heat if they seem to be burning. Cook them until they are dark brown. 2] While the onions cook, chop up your meat of choice [we used ham] onto little cubes. Fry until browned and cooked all the way through [if you're using sausage or bacon]. Drain away any excess fat. 3] Next, chop the peeled sweet potato into cubes [apparently you can use unpeeled potatoes too?!] about 1/2-inch in size. Place in a large bowl. Finely mince the garlic and rosemary leaves and toss them into the bowl of sweet potatoes. Toss with olive oil, salt and a generous helping of black pepper. 4] When the onions are done and the meat cooked, stir these into the bowl of sweet potato mixture. Mix well. 5] Line a large baking sheet with foil and spread out the sweet potato hash evenly. Roast for 30 - 45 minutes [roasting time depends on the size of the sweet potato chunks], or until the are soft and browned. 6] Heat oven to 425F [or just lower your oven temp. from 450F to 425F, if cooking the same day]. 7] In individual ramekins or a 9x13-inch casserole dish, scoop cooked hash and make a few small wells throughout the sweet potatoes. Add your eggs into the wells. Sprinkle lightly with salt & pepper. 8] Bake for 15 to 20 minutes, or until the sweet potatoes are hot and the eggs are baked through. [Test the eggs by poking them with a fork to check the firmness of the yolks]. Sprinkle with a little parmesan cheese, if you choose. Enjoy! 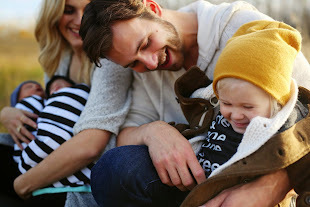 .valentine's day gift guide, 2014.